The Beobachtungsuhr, or observer's watch, was made during World War Two under contract for the German air force by several manufacturers including IWC, Stowa, Laco, and others. After the war, it was adopted by other countries and produced by even more watchmakers with numerous variations on the theme. 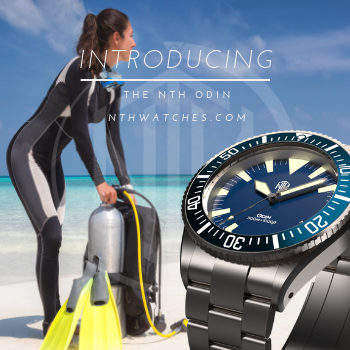 It has been called the pilot's watch, navigator, B-uhr, flieger, etc. but by any name, it is one of the most enduring wristwatch designs. The originals had a mammoth 55mm anti-magnetic case, a large crown that could be operated with gloves, and a hand wound hacking movement for precise synchronization. Dials were black with white numerals and a triangle at 12:00 and had one of two layouts: the Type A, with numerals 1-11; and the Type B, with numerals 5-55 on an outer dial, and 1-12 on an inner dial. 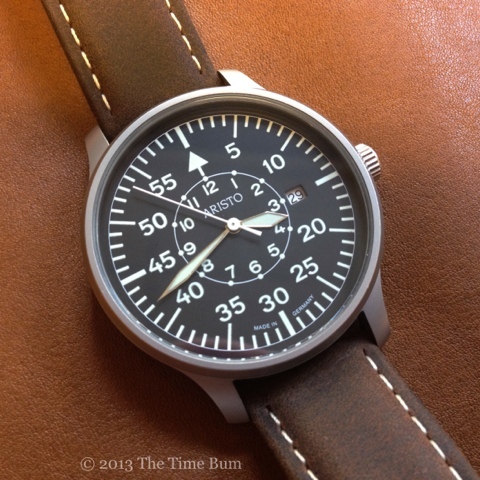 If you have the means, then I highly recommend the $15,000 IWC Big Pilot. If you do not (and if you are reading The Time Bum, I suspect that may be the case), then I suggest you look at the $160 Aristo 3H80. 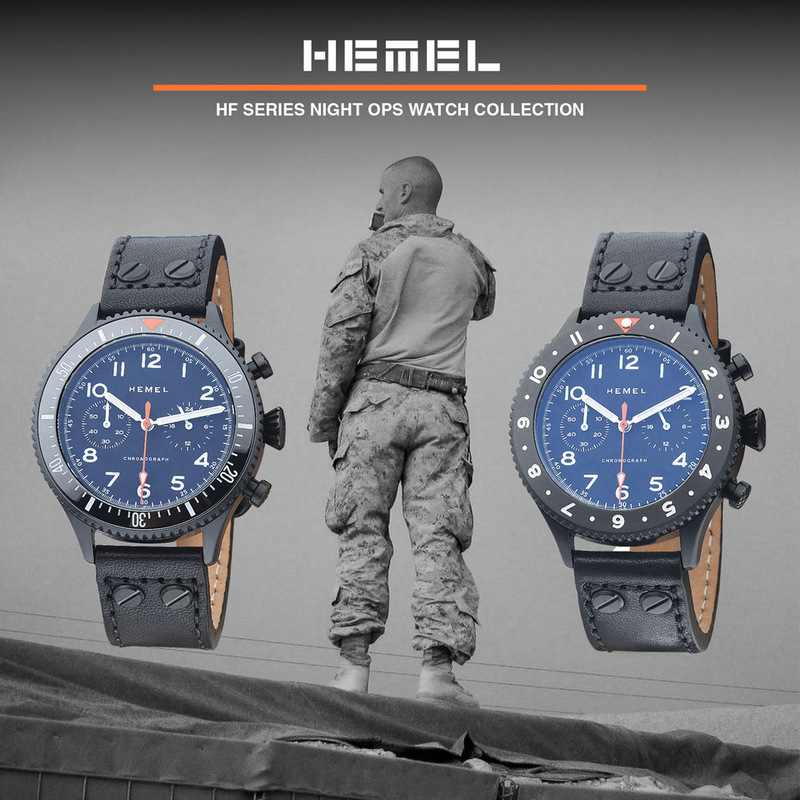 The 3H80 Type B featured here, and its fraternal twin the 3H80 Type A, are affordable, mid-sized watches with quartz movements. They are manufactured in Pforzheim, Germany with Swiss movements, such as the frugal workhorse Ronda 515 used here. Dials are true to the classic A and B, save for a date complication at 3:00. While I am generally not a fan of dates on a B-uhr, it is nicely integrated into the dial of the Type B in place of the "3". It is less attractive on the Type A, where the date window cuts into the "3" - a deal breaker for me. Dials aside, the watches are otherwise identical. The hands are the traditional dagger-like pilot style, edged in black, with a white central second hand. The text on the dial consists only of the Aristo name and a tiny "Made in Germany" below the 6. The Superluminova is impressive, with every numeral and marker on the dial glowing brightly along with the minute and hour hands. The second hand is not illuminated. Typical of many inexpensive quartz movements, the second hand does not land squarely on the markers. The case is blasted stainless steel, and completely unadorned with a screw in case back. 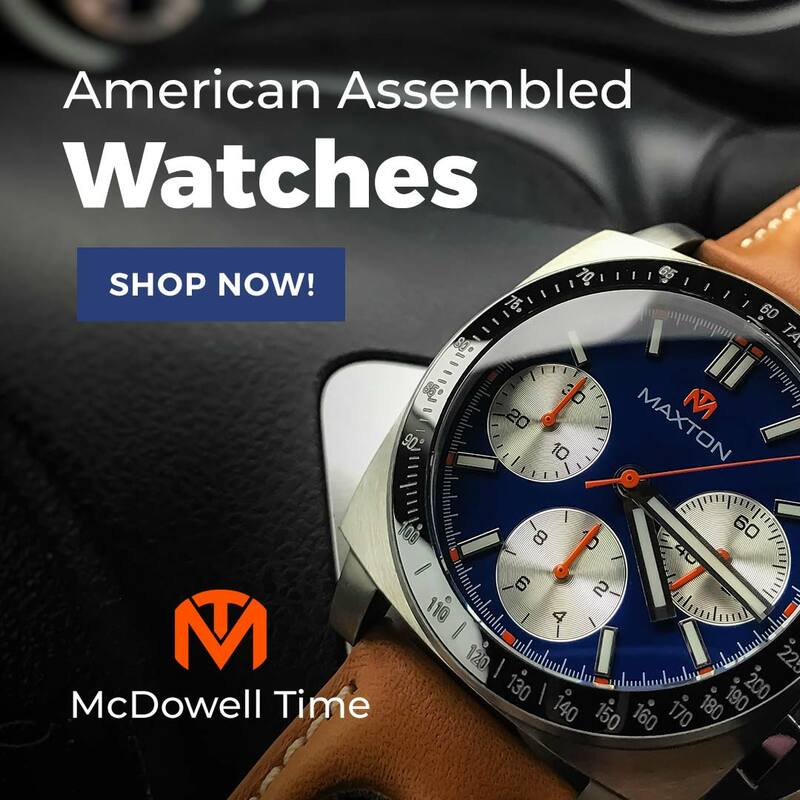 Unlike their gargantuan ancestors, these watches are a wrist-friendly 42mm wide and only 11mm thick with a flat mineral crystal. They are by no means small but are more likely to be slipped under a shirt cuff than strapped over a flight jacket. I have found the 3H80 sits comfortably on my 6.5" wrist, and being quartz, it is also quite light. The workmanlike Type B dial and matte finish give it a purposeful look, although, given its meager 50m water resistance, I would not consider it a tool watch. The crown is a standard size and in proportion to the case. I do not believe you could operate it with gloves, but I doubt you would ever need to. 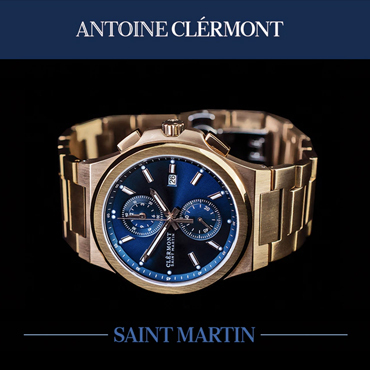 This is not a watch to wear with a flight suit or a business suit, but it pairs nicely with khakis or jeans. The 3H80 came on a 20mm light brown leather strap with a brushed buckle. While it is nice enough, the buckle is brushed, not blasted like the case. You can get away with it, but I am a stickler when it comes to matching finishes. Of course, this is easily remedied with a new buckle, or better still, a new strap. I gave it a try on pass-throughs, whereupon I learned just how tight the clearance is between the case and the spring bars. 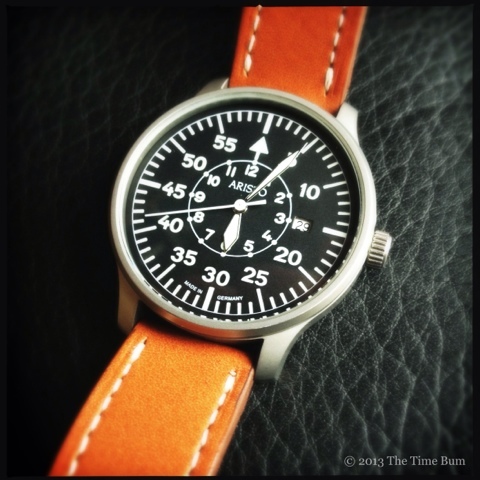 A nylon or thin leather NATO strap will fit, but only if the bars are removed first. Heavier strap material would be a tight squeeze. Strap junkie that I am, I kept on swapping and found that padded suede cowhide straps from Techné ($25) with blasted buckles looked fantastic, complementing the matte case nicely, while a green canvas strap borrowed from a Bulova Hack Commemorative highlighted its military roots. Of course, if you really wanted to stay true to a vintage pilot look, a riveted leather strap would certainly do the trick. Overall, I rather like the 3H80. If you want to try a flieger on a budget, you would do well to check out Aristo, particularly if you want something smaller than 44mm. It has many of the key design elements of the original, in a manageable size, and for only about $160. Sum: A mid-size B dial with the right look, at the right price. The Time Bum approves.